If you are an Australian business that has an ABN we can assist you to ensure that you work within Australian Government guidelines and are aware of the obligations required as a sponsor of overseas temporary workers. 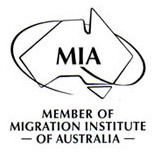 Australian Registered Migration Agents cannot guarantee that you will be successful with your visa application. However, if you use the services of Freeman Migration Services Australia we will always act in your best interests to help you get the best possible outcome. All information provided to us is kept strictly confidential and will not be released without your permission.